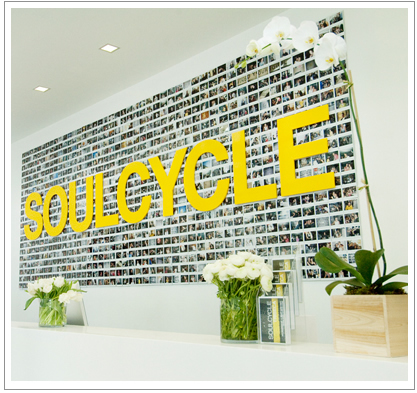 Today I did my first SOUL CYCLE class. What is this, you ask? It's a spin class that also works your soul. Imagine that. Now I'm not a cyclist. I think this is my third spin class ever. I'm a novice and there were many parts of this class that were hard. But you know what the hardest part was? When we were required to still our body. To stop all the flipping and flopping of the body, flinging the hips from side to side in order to generate a speedy cycling motion. 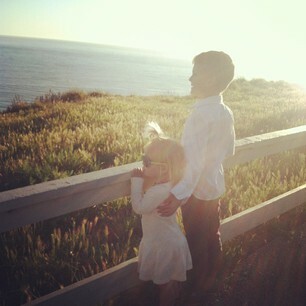 Instead, we had to be still. Control our arms, shoulders, hips and simply use our legs. It's tough. I loved thinking about how this relates to life. It was a good little lesson to me about not always distracting myself when I'm required to just sit still. To not eat my way out of the discomfort or talk my way out of it or avoid it. Sometimes I just need to be still and deal. Another thing on my mind... Dare I admit I'm a little bit stressed out right now? It all hit me last Wednesday-- the reality of this whole situation we got going on right now. Having to sell our house and all the prep that goes into that, especially with 4 little kids who are dying to undo any work I/we are about to do, having to find a new house to call home, and somehow syncing up these two processes so that possibly it is somewhat of a fluid process. I am no longer in the denial stage. I am also not stressed to the max....as I feel like that little climax is still a way out! And something about having all this chaos going on has unburied a hidden gem of a tool in me....I have gotten organized and on top of certain things that I've never done before as a mom. Me, the noncommittal and non-planning mom, has planned out our lives completely through July 12th. At which point, I've mentally decided we'll then move July 15th-ish. Because I can up and pull a date out of thin air based on absolutely nothing, right? Right, of course I can. And maybe to not hold still, to not feel pain, to run and hide, I've taken on the task of planning a sisters retreat. Because I love my sisters and want to keep up some of our traditions. And last night, as I was praying, I squeaked out an ashamed request-- pleading that God would help me find us a beach house. To be honest, it felt a little bit petty among all the BIG things we have going on. But truth be told, I had scoured the rental places and couldn't find what I was looking for. I mentioned that to my little sister in passing yesterday and guess what? She called me today telling me she had found the house. On the same site I'd been looking at, with the same selected criteria, her two minute search yielded the result that I couldn't find in my multiple day search. It literally fit our wants to a T.
And you know what, that blows my mind. That God cares about a beach house. That He takes my petty request and uses it as a tool to let me know He cares. And I imagine if He cares about the small, seemingly unimportant things, He also cares about the big things. Maybe now I can still my body and focus on those bigger needs that are going to be calling for my attention.